TICKET Show US$ 70 54,90!! *Promotional rates, excellent seats! Ask terms and conditions! Transfer back will be provided by the trusty standard Service. The offer is according to payment method but you will always get the best deal. Pick up: Free for San Telmo, Recoleta, Madero and Downtown. El Querandi Tango Show Buenos Aires is a cozy and romantic Tango Venue that offers a traditional style show supported by a powerful quartet, offers the widest menu and boutique wines from its cellar. El Querandi Tango show Buenos Aires, installed in one of the most beautiful cafes of the city founded in 1920, with its ornamentation of ebony wood and its old and elaborate bar, offers a cozy atmosphere with a romantic show of traditional Tango style. 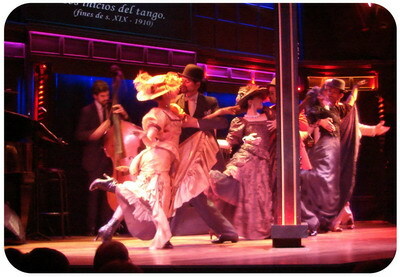 The Tango show of El Querandi runs through the different periods of the Buenos Aires Tango and for that it uses several of the theater spaces to develop the show, the L distribution of this small place guarantees a good distance to the stage from any angle, and the show develops on the stage as well as on the bar and corridors. The choreographies take advantage of the reduced space of El Querandi and turn this feature into an advantage for the spectator, the multiple duets carry a strong load of sensuality that transmits all the power of the tango and the group choreographies are well coordinated building the climate of each time they represent, in a combo of traditional steps and good acting. By the other hand the duets focus more on sensuality and the construction of images that tell a story, always intense and passionate and always with a well-danced tango, assisted with steps of stage choreography but with the steps and styles of tango on the floor. The bar is a space that brings the show even closer to the public and where you can see both the display of traditional tango and sensual choreographies. The quartet is experienced and powerful, supported by piano and double bass, of such communion that the children of the original musicians are today the headlines and sound as good as their predecessors. The violin and bandoneon performances are of course optimal and a curiosity: the bandoneón many nights is in charge of a female performer, which is not very usual and adds an extra dose of sensuality to the tango show; the icons of tango are the couple of dancers and the bandoneon, being that this iconic instrument of tango is always dissociated from the feminine, there are numerous graphic representations that try to fuse both sexes, which in this show occurs very naturally. Both singers maintain a style of their own, carrying a repertoire that they handle perfectly and giving us great little luxuries like singing a capella. The costumes vary according to the times with great realism. Two great successes of El Querandi are food and wine. 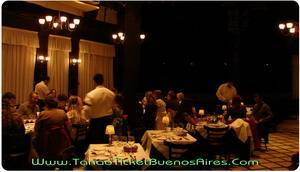 The menu of El Querandi Tango Show Buenos Aires is the largest of the Tango Houses, with twenty main options. The concept is also attractive, the whole menu is based on offering typical dishes from all over Argentina with a gourmet touch, that is, we have a menu that is a menu but also a road map. Between the entrances they emphasize -besides the traditional empanadas- the tasting of cold meats, the set of northern stews, while in the main shines the steak of chorizo, the lamb and the bondiola (pork cut), although there are vegetarian options available . Desserts recommend the “chocotorta” ( “chococake” the classic Argentine dessert of the twentieth century) and the original Tiramisu based on yerba mate instead of coffee. 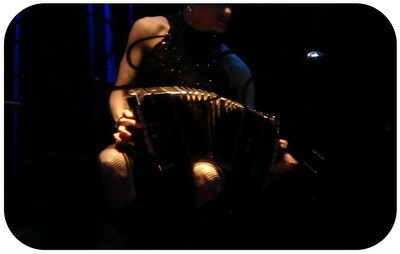 The wines are another great quality of El Querandi Tango Show Buenos Aires as they are boutique level from its winery. 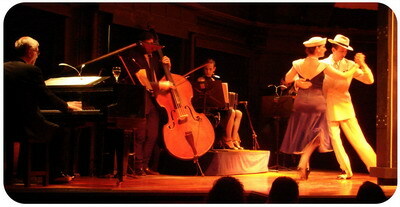 El Querandi, romantic and traditional Tango Show with a great gastronomic level in Buenos Aires. Show US$ 96 US$ 89,90!! 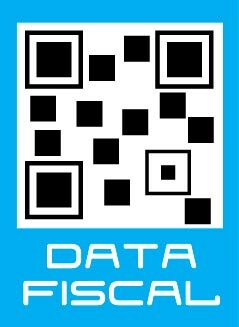 Book your tickets with whatsapp in an easy and safe manner! 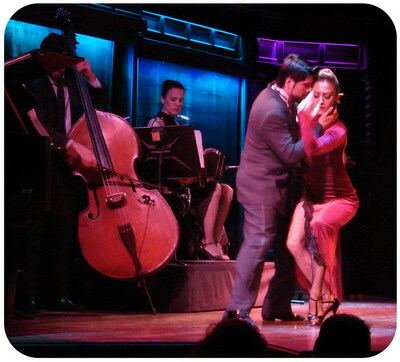 Attending to a Tango dinner show in Buenos Aires is one of the not-to-miss activities you can plan for your nights here. Esquina Carlos Gardel New Year’s eve a unique and unforgettable night to receive the New Year! Piazzolla Tango New Year’s eve in Buenos Aires the most impacting teather brights in the most important night of the Year. Show de Tango de fin de año en El Viejo Almacen de Buenos Aires, una noche única como sólo pueden hacer los creadores del Show de Tango. 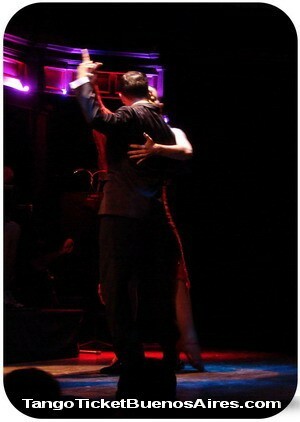 Show de tango de Fin de Año en El Querandi! Una noche con estilo Belle Epoque, un romántico Show de Tango en Buenos Aires, que viste su tradicional barra de ébano para un baile de disfraces. Show de tango de fin de año en Tango Porteño! Una gran noche en el show más grande de Buenos Aires! Show de tango de fin de año en Piazzolla Tango Buenos Aires, el teatro más impactante brilla en la noche mas importante del año! DINNER Show US$ 80 59,90!! DINNER Show US$ 89 59,90!! ask for the special offer! DISCOVER the secrets of BUENOS AIRES with a FRIEND! The concept of a show had to wait until the early 60’s, when the first Tango show Buenos Aires was open in a little place of San Telmo named El Viejo Almacen. Tango Porteno Reveillon night in Buenos Aires a great night at the largest Tango Show in Buenos Aires! 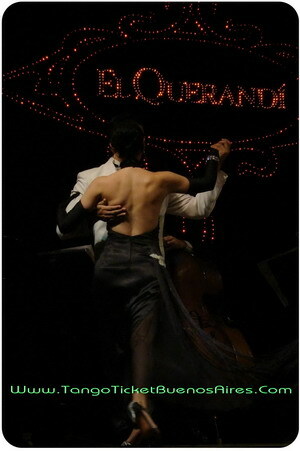 El Querandi Reveillon night in Buenos Aires, a gala with the Belle Epoque style in a petit and romantic Tango Show in Buenos Aires, the place dresses its traditional ebony bar for a fun masked ball! El Viejo Almacen Reveillon night in Buenos Aires a unique night from the creators of the Tango Show. La noche más importante del Año es para disfrutar un show de Tango de Año Nuevo en Buenos Aires! 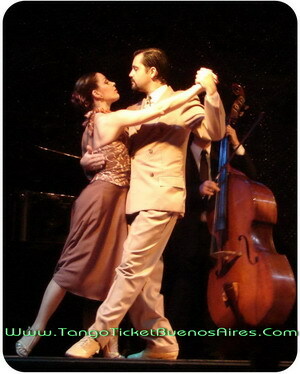 Show de tango de fin de año en El Café de los Angelitos en Buenos Aires, una noche colorida con el Show de Tango más elegante. Show de tango de fin de año en Esquina Carlos Gardel Buenos Aires! Un evento único para recibir el Año Nuevo a puro tango y con estilo. Show de Tango de Fin de Año en Rojo Tango, la fiesta más exclusiva y espectáculo de tango en el Hotel Faena.